SIX Group is to overhaul its clearing services for pan-European equities and Nordic derivatives with Nasdaq’s post-trade technology. 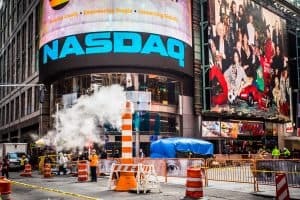 Nasdaq will provide SIX x-clear with its clearing and real-time risk management technology, alongside its Financial Framework index technology to support SIX’s index business. SIX currently uses Nasdaq’s matching engine for trading in equities, exchange-traded funds (ETFs), structured products, funds and fixed income. It also uses Nasdaq’s SMARTS market surveillance technology and pre-trade risk management. “With the ambition to provide our clearing members with the most sophisticated and efficient infrastructure, we will consolidate and renew our clearing infrastructure to strengthen our efficiency and to decrease operational complexity,” Thomas Zeeb, head of securities and exchanges at SIX, commented. Nasdaq has provided its post-trade derivatives and SMARTS market surveillance technology to several major exchange groups globally. Earlier this month, India’s National Stock Exchange signed an agreement with Nasdaq to implement its clearing, risk management and settlement technology across all asset classes. In April, Hong Kong Exchanges and Clearing became the first exchange group in Asia to deploy Nasdaq’s SMARTS market surveillance and machine learning technology across its equity market. “By leveraging our Nasdaq Financial Framework for the pan-European clearing business, SIX will be providing its clearing members with an integrated and streamlined experience. We are proud to support SIX’s growth ambitions through this important, long-term relationship,” Adena Friedman, Nasdaq’s chief executive, concluded.